What makes tomorrow’s [today’s – Wednesday, September 20] meeting at the Federal Reserve so interesting to market watchers and bond investors is the likelihood that Fed Chair Janet Yellen will provide more details on her plans to begin unwinding the Fed’s balance sheet: how much, how fast, how soon, and what does it all mean? In addition, she is hoping to placate conservatives in Congress who remain unhappy over the Fed’s intervention in the markets in the aftermath of the real estate collapse that triggered the Great Recession. In June, Yellen outlined some possible scenarios, which included letting some of the bonds on the central bank’s enormous $4.2 trillion balance sheet simply mature without reinvesting the funds in new issues. She suggested the Fed would also start selling off some $10 billion a month of existing securities, and then raise that amount every quarter until it reaches $50 billion a month. This way, by expanding on her plans, and by slowly — very slowly — shrinking the Fed massive balance sheet, she hopes to avoid another “taper tantrum” that bond investors experienced back in 2013 when then-chairman Ben Bernanke first said the Fed should start reducing some of its holdings of U.S. Treasuries and mortgage-backed securities. If she provides sufficient clarity, and sufficient caution, Yellen might not only start the process without disrupting the market, but also avoid further criticism from congressional critics who think the Fed stepped way out of bounds in starting the whole “quantitative easing” (QE) program in the first place. 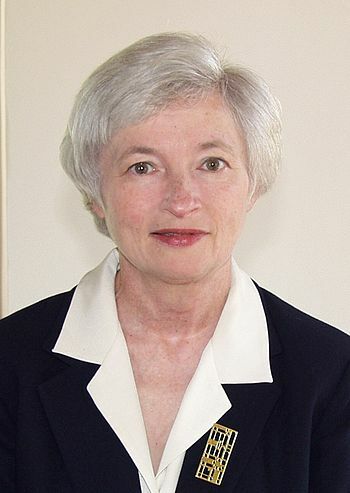 In that way — again, if she is successful — she will not only cement into place the Fed as a necessary element in the American economy, but show that further “QE” expansions to meet future recessions are a legitimate tool. It was all a grand experiment: expand the money supply to keep interest rates so far below market rates that people seeking income would take higher risks — i.e., dividend-paying stocks, real estate ventures, etc. — and home owners would find it easier to buy houses. This was the Keynesian antidote to the economic collapse. Rather than let the economy right itself by itself (see America’s recession and recovery in 1920-1921), Keynesians suffer the hubris to think they know better than the market, and intervened, resulting in the longest, slowest recovery from a recession in American history. Once the Fed began to embark on its plan to bail out banks and other financial institutions in the wake of the real estate collapse, there was no going back. When the federal government took over Fannie Mae and Freddie Mac — mortgage insurers that were approaching bankruptcy — it found that it needed to buy up billions of their failing mortgages. That explains why $1.7 billion of the Fed’s balance sheet consists of mortgages and mortgage-backed securities. But when that didn’t work the Fed adopted the strategy of “quantitative easing” (QE) — creating money to spur spending across the economy — which some observers thought would never end. 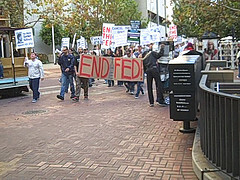 But it did end, in 2014, and the Fed has been sitting on its massive pile of government and mortgage debt, waiting for the economy to revive enough so it could be offloaded without major economic disruptions. The Fed won’t be unwinding its entire portfolio. Instead it expects to reduce it by between $800 billion and $1 trillion over the next few years, leaving in place a balance sheet of between $2.5 and $3.2 trillion. This means that the Fed will never again see days when its balance sheet shrinks all the way back to the $900 billion it had prior to the Great Recession. Its plan should have little impact on short-term rates. Using the 10-year Treasury as the standard, when Yellen’s plan (assuming it begins in October) kicks in, it might boost its yield by perhaps a quarter of a percentage point. This would be the natural result of increasing supply in a market with a fixed demand. When more is supplied, prices will go down. In the bond market that translates into a mini-interest rate hike. But demand from abroad for U.S. bonds continues to be strong. Yields on 10-year bonds issued by foreign governments such as Japan’s and Germany’s remain far below U.S. 10-year bonds and so any increase in rates here will only make them more attractive to foreign buyers. Has Janet Yellen Tripped the Bernanke Indicator? I think the system is much safer and much sounder [today]. 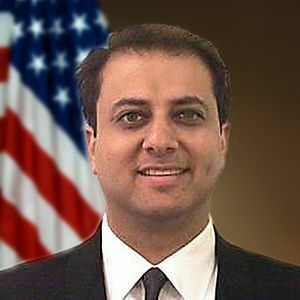 We are doing a lot more to try to look for financial stability risks that may not be immediately apparent, but to look in corners of the financial system that are not subject to regulation, outside those areas in order to try to detect threats to financial stability that may be emerging…. Would I say there will never, ever be another financial crisis? You know probably that would be going too far but I do think we’re much safer and I hope that it will not be in our lifetimes and I don’t believe it will be. At the moment, Wall Street investors are enjoying a “Goldilocks” economy: not so hot that it pushes prices up and not so cold that it causes a recession. Translation: Unemployment is low, wages are rising, interest rates are still near record lows, the gross domestic product (GDP) continues to grow (although not as fast as President Trump would like), and inflation is under control. It isn’t a perfect world, but to Wall Street investors it’s close. In its never-ending quest to spend money it doesn’t have, but not wanting to raise taxes, especially during the current election cycle, on Thursday, November 5 Congress passed a $325-billion, six-year transportation bill that is to be financed by selling off some of the country’s strategic petroleum reserves and raiding the Federal Reserve. Foreign Affairs: Give Away Free Money! What happens when a college professor meets up with a graduate student from Oxford University, intending to solve the world’s economic problems? What happens when they consider that the previous attempts to revive the economy have failed and their recommendation is to do more of the same? Mark Blythe, a professor at Brown University, and Eric Lonergan, a hedge fund manager living in London, have conjured the ultimate solution to a stagnant economy: Central banks should give away free money. These two authors of a lengthy and allegedly erudite article in the September/October 2014 issue of Foreign Affairs, published by the Council on Foreign Relations (CFR), appear to be living in an alternate universe, as their suggestion, if it were fully implemented, would push the world’s economy back to the Dark Ages. 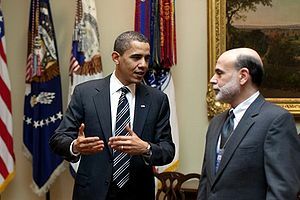 Citing an unnamed source from “Team Obama”, CNBC announced that Larry Summers will be named head of the Federal Reserve by President Obama to replace outgoing chairman Ben Bernanke whose term expires on December 31st. 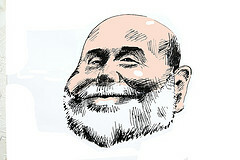 It’s hard for me to keep a civil tongue when chief alchemist Ben Bernanke makes an announcement like this. He’s going to buy more government securities in order to lower the unemployment rate, but this won’t affect the inflation rate. If it does, he’ll stop. For the first time, the Fed has announced a goal for the unemployment rate. By saying that it anticipates that it will keep interest rates extremely low until the unemployment rate falls to 6.5% (as long as inflation doesn’t get out of control), the Fed has become more aggressive about turning the economy around. The charges unsealed today describe cheating coming and going — specifically, insider trading first on the long side, and then on the short side, on a scale that has no historical precedent. As a result of the blatant corruption of both the drug research and securities markets alleged, the hedge fund [for whom Martoma worked at the time] made profits and avoided losses of a staggering $276 million, and Martoma himself walked away with a $9 million bonus for his efforts. Mathew Martoma and his hedge fund benefitted from what might be the most lucrative inside tip of all time. This is certainly the most lucrative insider-trading scheme ever charged. Quick! Who is the Most Powerful Person on the Planet? In the last few weeks, we have seen an extraordinary expansion of the European Central Bank’s powers. It can now set interest rates, control financial markets, and effectively dictate tax and spending policies across what remains — despite its current difficulties — the world’s largest single economic bloc. Graham Summers, writing for ZeroHedge, has pointed out that Fed head Ben Bernanke hasn’t done any new buying of securities despite his promise to do so back in September. The Fed publishes its balance sheet. You can see it here, in graphical form. As Summers said, if Bernanke was buying, how come the measure of money – the adjusted monetary base – is declining? 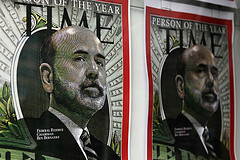 Would Bernanke lie? Oh, no! Federal Reserve Board Chairman Ben Bernanke attempted Monday to answer some of the fierce criticism and public unease facing the Fed’s third round of bond purchases, known as quantitative easing or QE3. This article from MarketWatch is one of the more incredible expositories on the Fed’s negligence and back-pedaling that I’ve seen. 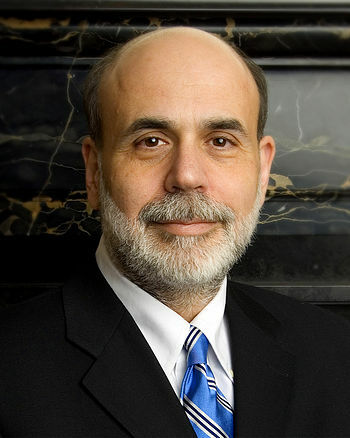 Bernanke is, to put it simply, in panic mode. The crowd is seeing that the king is naked and he has to cover his nakedness with words and reassurances. Which makes the crowd more nervous and more skeptical and noisy. It’s an amazing show. If the outlook for the labor market does not improve substantially, the committee will continue its purchases of agency mortgage-backed securities, undertake additional asset purchases, and employ its other policy tools as appropriate until such improvement is achieved in a context of price stability. Even before [last week’s announcement by the Fed that it would initiate Quantitative Easing Strategy Number Three, or QE3], there was skepticism that it would do much to lower the unemployment rate, which has exceeded 8 percent for 43 months. The average response of 47 economists surveyed by The Wall Street Journal was that a similar program might cut the jobless rate 0.1 percentage point over a year. Oh, boy! One tenth of one percent! Over an entire year! That’s worth debauching the currency over, isn’t it? By buying mortgages, the Fed would push interest rates down. They’re already low (3.6 percent in August for a 30-year fixed-rate mortgage) and would fall further. Lower rates would stimulate more home buying and construction. Greater housing demand would raise home prices. Fewer homeowners would be “underwater” (homes worth less than mortgages). Banks would refinance more existing mortgages at lower rates because the collateral — the homes — would be worth more. Feeling wealthier, homeowners would spend more and cause businesses to hire more. This is the mantra of Keynesianism. It’s also provably false. But that doesn’t matter. Part of the mantra is: If something doesn’t work, do more of it. That proves that it’s insane. Close, Mr. Samuelson, but no cigar! 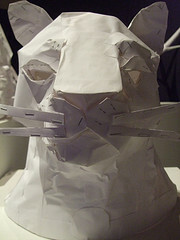 I think people have figured out that the Fed is a toothless, paper tiger, all bluster and no power. Or my favorite: All hat and no cattle. Increasing political encroachment on the Federal Reserve, particularly from the Republican Party, could threaten the central bank’s hard-won independence and undermine confidence in the nearly 100-year old institution. Reuters is the British equivalent of The New York Times – thoroughly establishment and its voice in England. When they see that the Fed’s credibility is beginning to suffer, you know that the end is near. The article said that this was “the pervasive sentiment” at the recent Jackson Hole conference (where, as you remember, Bernanke spoke and said nothing). Alan Blinder was there. He is the quintessential establishment economist: degrees from Princeton, the London School of Economics, and MIT. Served on Clinton’s Council of Economic Advisors and on the Board of Governors of the Fed. He dreamed up the “cash for clunkers” fiasco that was designed, according to Blinder, to stimulate the economy. We know how well that worked. Oh yes, he’s also a member of the Council on Foreign Relations – in fact a member of the board of that gaggle of internationalists. I do fear for it a bit if the election comes out that way, especially if some of the more radical voices, that happen to be Republican voices nowadays, get reelected. There’s a lot of hostility. 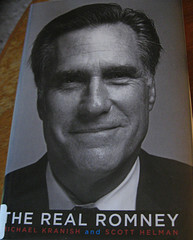 We know who he is referring to: Ron Paul. And what he’s referring to: the bill that recently passed the House to do a full and complete audit of the Fed. Buried in the article from Reuters was something amazing: that “radical” influence is already beginning to impact the Fed’s behavior! Part of that was reflected in Bernanke’s heavy emphasis on something he couldn’t prove: that the Fed kept things from getting worse. This is not an argument from substance but from conjecture. It was his way of defending the indefensible. In all, the Jackson Hole conference did accomplish something: an admission by an establishment mouthpiece that the trust and credibility of the Fed continues to decline, and there’s nothing they can do about it. His five-point plan consists of attaining energy independence by the year 2020, strengthening the educational system, forging new trade agreements with foreign countries, cutting the deficit with the ultimate goal of balancing the budget, helping small businesses, and repealing ObamaCare. With the possible exception of “helping small businesses” — whatever that means — nothing in his plan addresses the issue of job creation. There will always be jobs to do far more than can ever be done. So creating jobs is not the problem. The problem is creating jobs in which people produce the most value.